For nearly a dozen years the survivors and the families of those who didn’t survive have been demanding justice, and they have only seen the tiniest measures of it. Archive photo by Eric Jackson. In general, first-time offenders who receive prison sentences of four years or less can buy their way out of prison by way of a $1 a day fine. Thus when Judge Hormilda Miranda declared the 18-month sentence of the woman who headed the now closed Social Security Fund (CSS) medicine lab “extinguished,” there were no walking out of prison scenes. But Linda Thomas will no longer have to report here wheerabouts to the police every 15 days, nor will she be prevented from leaving Panama if she wishes to do so. Prosecutors say that they will appeal the decision. More than 400 people died — the true numbers were suppressed by former President Martín Torrijos and top members of his administration — in the 2006 mass poisoning brought about by they mixing of deadly diethylene glycol (DEG) that was mislabeled as glycerin into cough syrup mixed at the old CSS medicine lab, which was adjacent to the Arnulfo Arias Hospital Complex and across the street from the University of Panama. 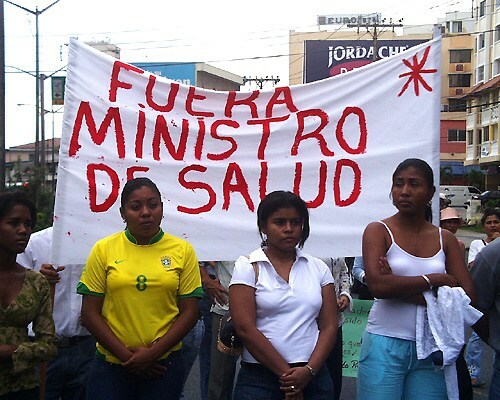 It was a decrepit, underfunded facility and at the time privatization was one of the political mantras of the day, so the lab that made cheap medicines for Panama’s public health systems was closed in favor of importing the same medicines at a higher price. As it was, however, the lab was not a total exercise in socialized medicine. It bought ingredients from a private company that was surely chosen on a political patronage basis, but whose owners have gone unidentified all of these years due to Panama’s corporate secrecy laws. The DEG which that company sold to the CSS as glycerin had been sold via an intercontinental business chain starting in China. The order was for USP grade glycerin, and the Chinese company delivered some of that, and some flasks labeled in Chinese as “substitute glycerin.” The head of the Chinese factory was ultimately executed for the mishandling of the order and resulting deaths in Panama and embarrassment to China. The flasks went to a Spanish wholesaler, which did not test the contents of any of the flasks and moreover changed the labels. They then came to a Panamanian distributor to be sold to the CSS. The distributor here didn’t test the contents either, but did change the labels to back date a fast approaching expiration date. By law, both the lab and a unit at the University of Panama were supposed to test the raw materials and the resulting medicines. Neither institution had the budget for that. Lab director Linda Thomas had been requesting funds for that basic safety task for years, to no avail. In the middle of 2006 — while the canal expansion referendum campaign was going full blast — people started to die from taking the medicine. The Torrijos administration suppressed news of this and failed to undertake any investigation, leading to hundreds of more deaths. Eventually the US Centers for Disease Control was called in and within a few days the source of the problem was identified. There ensued a cover-up in which the Torrijos administration blocked funding for the chemical tests of the bodies to readily confirm if someone had died of DEG poisoning. Without such proof — which the government was not allowing — then it was denied that a given person had been poisoned by the government. There were fewer benefits to pay to survivors and a smaller problem to admit to voters in the 2009 election campaign that way. The Torrijos regime’s search for scapegoats got ridiculous, with fingers being pointed at public figures from the previous administration. But Linda Thomas? Neither a member of the powerful rabiblanco clans nor well connected to the political caste was she — just a black professional who has risen through the ranks. That was one Torrijos scapegoat against whom the charges eventually stuck in court. Ultimately, years after Torrijos left office, Thomas’s boss, former CSS director René Luciani, was like her found guilty of many counts of negligent homicide and sentenced to 18 months in prison as well. The day before Thomas’s sentence was extinguished, Judge Elizabeth Berroa denied his motion to suspend his sentence. Luciani’s lawyers say that they will appeal.